One fairly unique feature of the Symbian scene over the last decade has been the willingness of manufacturers to experiment with different form factors. And, usually, this means the introduction of physical QWERTY keyboards, perennially loved by geeks and messaging-centric users across the world. However much the fashion seems to be for ever-growing device sizes to accommodate ever-larger touch displays, it seems that, for practical on-the-go access, at least, the likes of the Blackberry Curve remain as popular as ever. Certainly, when mobile, you can't guarantee that both of your hands will be free, you want a certain level of robustness, you want a certain level of insensitivity to unintentional knocks, all situations where pure touchscreen phones have issues. 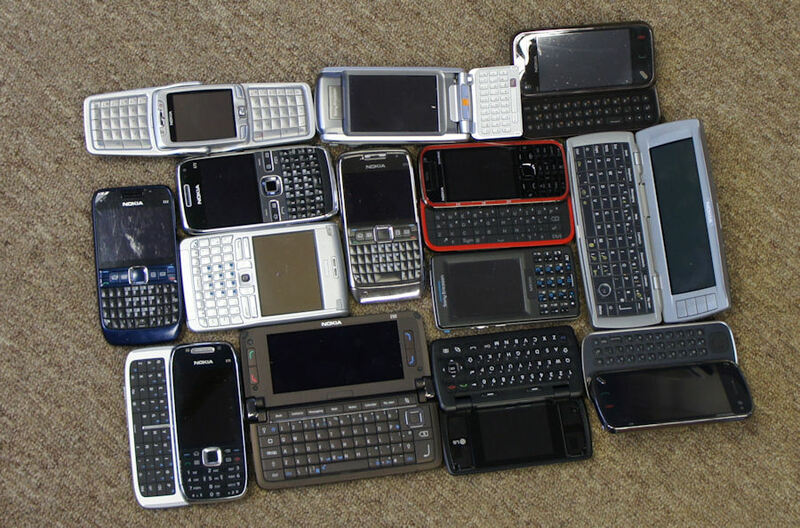 And don't forget my 2009 attempt to quantitatively rank QWERTY devices, plus David's thoughts on thumb travel and QWERTY speed. All good reading matter. 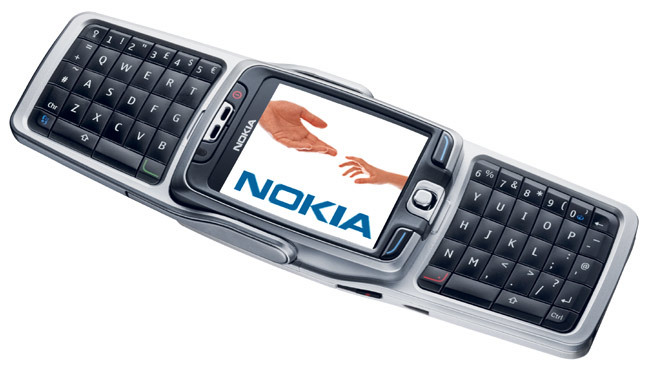 However, with much of the tech world now going touch-only (a mistake, in my view), with no more Symbian QWERTY on the horizon, with even Blackberry dropping their signature QWERTY keys on the latest Curve, maybe it's time to look back. In the interests of a) geek interest and b) nostalgia, I thought a pleasant romp through QWERTY from 2002 to 2012 might be in order. Note that the ranking isn't, obviously, a direct comparison of each device's functions and capabilities today - by that metric, the most recent devices would almost certainly have a huge edge. The ranking here is in my memory, in evaluating how significant each device was for its time, how well constructed and long-lived it was, and (most of all) how well it worked for text entry, for emails, texts, social updates and documents. Not quite making it into the top 10, but worthy of mention are the Sony Ericsson P1i (shown, right) and M600, both with 'dual qwerty' vision, i.e. two letters per key, with the key 'rocking' on a vertical axis as needed. A clever idea that never really worked for me. 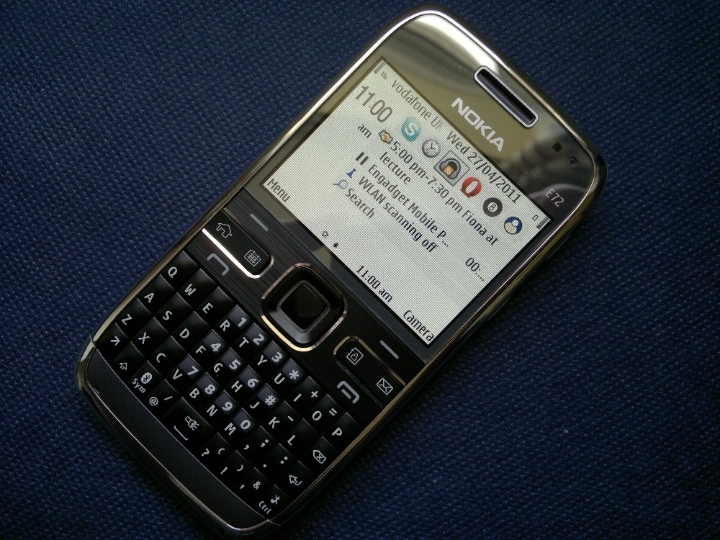 Plus the similar Nokia E55 with more traditional keys and software working out what you meant to type - this always seemed like a great idea for reducing predictive foulups and miskeys, but again in practice I never managed to get really fast and fluent. 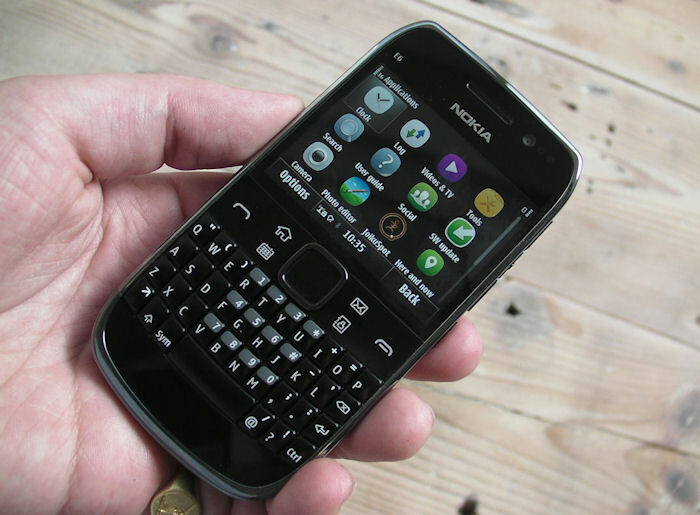 Omitted from the top 10 because it simply wasn't good enough is the Nokia E7 Communicator. Yes, it's still a current device, yes, the screen is superb, yes, the QWERTY keypad is astonishing for its slim size, but the E7 ultimately fails by most real world metrics: the camera is EDoF when a core camera use in Communicators is scanning documents, the internal storage is limited and unexpandable, but worst of all (by a huge margin) is the small, sealed 1200mAh battery. When new, the E7 will just about last a day of moderate use. After six months, the average business man will be running out of juice mid way through the afternoon and with no way to slot in a new battery, temporarily or permanently. QWERTY is so often associated with long battery life and general 'always there for you' reliability, and it's here that the E7 rather falls flat on its face. Also omitted from the 10 was the N97 classic and N97 mini - the former because, despite a feature list that seemed like every fanboy's dream come true, the end result was clunky and plasticky and had some showstopping internal limitations - not least the small system (C) disk which was perennially running out. This latter was fixed in the N97 mini, but then the smaller device was crippled by an underperforming battery and no FM transmitter, rather ruining two of the biggest selling points of the original N97 design. And, I'm afraid, I'm tarring the C6 with the same brush, being essentially an N97 mini with sliding, rather then hinged screen/keyboard. Sorry. Just uninspiring. Essentially the budget version (no GPS, fixed focus 2mp camera, no volume controls, no supplied microSD) of the classic E71, which I'll mention later, the E63 brought Symbian QWERTY to the masses perhaps for the first time. We picked up an E63 on pay-as-you-go for my 9 year old (at the time) daughter, and I believe it generally sold quite well. Constructed all in plastic, the E63 was very durable, had a great keyboard, and even improved on the E71 by having a proper 3.5mm audio jack. Pilloried at the time by the "You've put WHAT interface on the Communicator?" 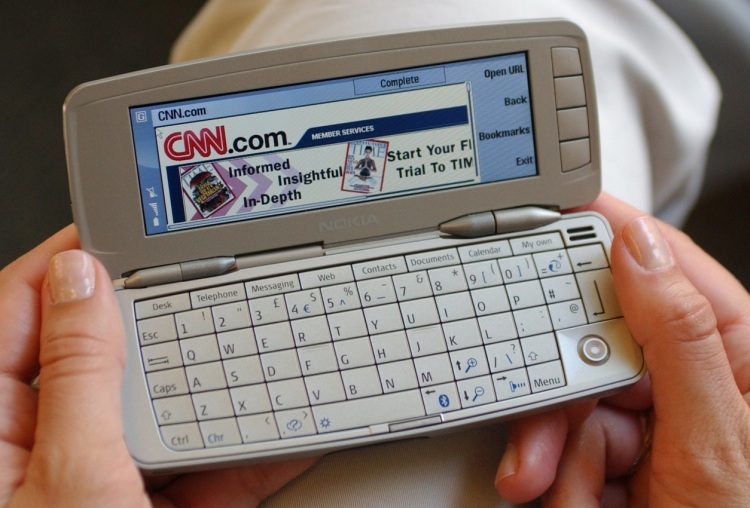 brigade, the E90 attempted to make the most of the traditional, dual screen clamshell form factor while switching UI tracks from the full-screen, menu-driven, full-QWERTY 'Series 80' to the ever more popular 'S60' (as it was at the time). The result was at times an uneasy fit and many core applications in the S60 ecosystem never did get updated to work properly on the E90's internal screen. Yet I grew to like the E90, spurred on by the excellent metal build quality, the great speakers and (for its time) camera and the giant 4" screen. When I first handled the E75, I hated it. 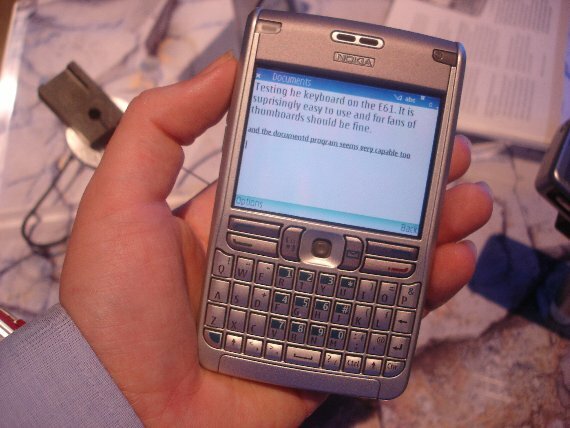 A numeric keyed phone with side-sliding 'flat' keyboard - and with a tiny 2.4" screen. All very uninspiring. But the E75 was a 'grower', and when I started using it for real, as an experiment, I found it a very capable 'jack of all trades' device, for messaging, Office and camera functions, all in a fairly diminutive form and with very good battery life. So not a startlingly elegant hardware design but something which worked well for a lot of people over the years. NB. Lumped in at no. 8 too is the Nokia 5730, essentially exactly the same device as the E75, but with weird 'youth' styling, plastic casing and (oddly) better camera optics. A real odd-ball form factor, the E70 featured a split personality. A traditional numeric keypad phone opened out in astonishing gull-wing fashion to reveal a split QWERTY keyboard, either side of a high resolution screen that rotated automatically. I loved it, mind you, partly because the keyboard had a great 'feel' to it, partly because the E70 had a (for its time) stonkingly good camera. The keyboard split did make some words hard to enter, mind you, especially when many consecutive letters were on the 'same' side, and the E70 ultimately languished as a niche device. Often getting a bad reputation for build quality and performance from users of the E71 (see below), I think the E72 is, to a degree, misjudged. It's effectively the E71 form factor but with simpler construction (it can be taken apart by undoing just two screws and is a doddle to repair), plus much better camera, an optical trackpad that in some ways predates the coming of touch (see E6 below) and which mirrored the optical pads in some Blackberrys, plus a slightly newer OS. And, crucially, a 3.5mm audio out jack. The upshot is a terrific swiss army knife smartphone that did almost everything and with a battery that lasted days. Using the E72 in 2012 is a trifle frustrating, in that its QVGA screen, its 2008 OS and its limited RAM (around 40MB free after booting) all present limits, but it still has a definite place in my heart. 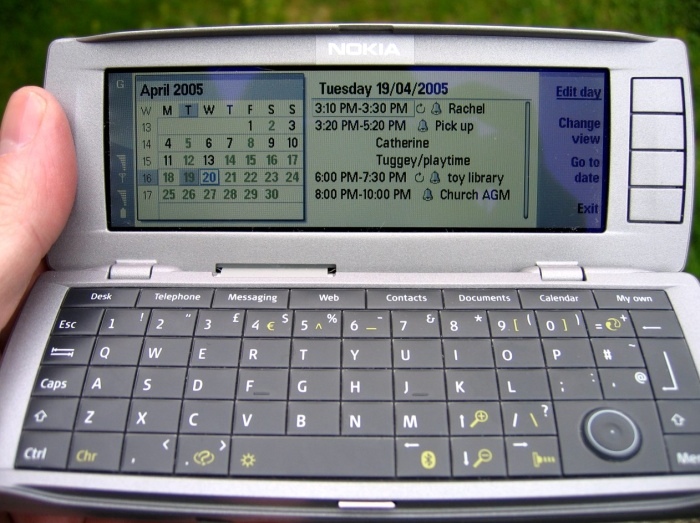 The point, in 2004, at which the Nokia Communicators started encompassing the basics of the modern age, in terms of connectivity (EDGE! ), camera (VGA! ), music (via a Pop Port) and a workable web browser (it came bundled with Opera). The QWERTY keyboard was surprisingly useful and there was still the remnant of the original Psion Office suite to take care of documents. I still have a 9500 and it's painful to use these days, in terms of raw functionality, but the form factor is still impressive - when you crack open the clamshell it still surprises people even to this day. The oddest of my selections here in that I've never owned one - amazingly - the 9300 started as a slimmed down 9500, the idea being to significantly reduce the Communicator's bulk, to the point where it could pass as a normal sized phone (for its time), yet retain the clamshell QWERTY design. This was achieved quite brilliantly, with a true 180 degree 'fold flat' hinge, though there were compromises in terms of key travel and lower specification all round. No camera, which was fair enough (for 2005), but also no Wi-fi. This, as you can imagine was a real problem for power users, given the appalling cellular speeds of the day, and so the 9300i followed in very short order, with Wi-fi added. Of course, looking back at the 9300i's closed form in 2012, it seems positively ancient ('what phones used to look like', etc. ), but if you owned one then you'll hopefully agree with me that it was a terrific size/function package for its time. The E6 is a very odd beast indeed. And I can't work out whether I love it or hate it! It's the latest incarnation of the E71 form factor, but with capacitive touchscreen and the Nokia Belle version of Symbian adapted for a VGA screen (i.e. slightly deeper than the normal nHD). As with most of my phones, I've taken the E6 apart a few times - six screws and some fiddly ribbon cables make this non-trivial, but it's worth noting the change in construction from the E61/E71 style devices. 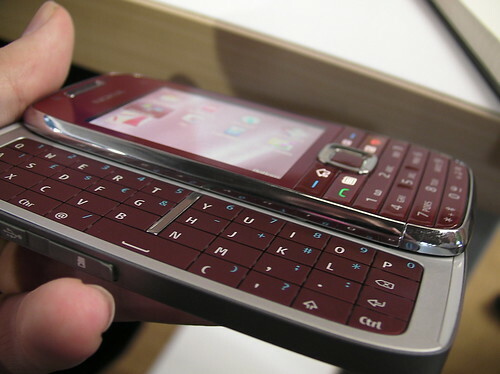 Here the QWERTY keypad is all one mechanism on a metal base, effectively part of the front cover of the phone. This makes for a much more 'solid' feel when typing and build quality generally is better than on any device in this top 10. On the downside, the hybrid one-handed d-pad/QWERTY/touch interface is at times a little quirky, the Symbian^3 OS produces screens and fonts that are at times far too small, and the camera's a disappointing (for a business user) EDoF unit. Having said all this, the battery life is again fabulous, the keyboard is addictive and, as I write this on a trip away from home, my main SIM is in the E6 - which is a testament to its real world all round usefulness. 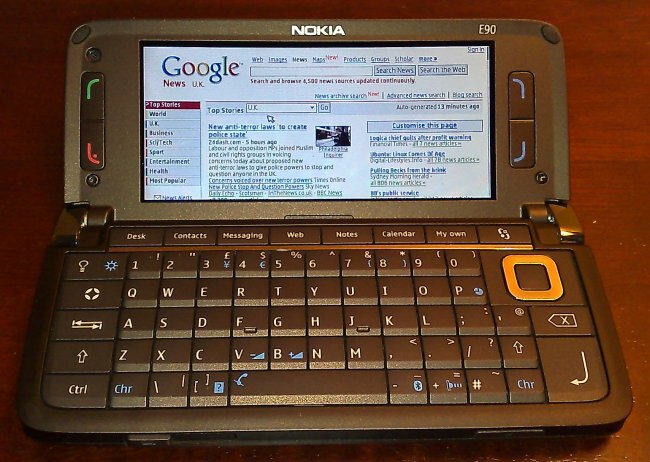 Ah yes, the first Symbian monoblock QWERTY phone. I still remember going in to chat with someone at Symbian, circa 2005. I had my trusty N90 with me (anyone up for a 'top 10 Symbian camera phones'?) and was very impressed by the way the marketing manager of the day navigated around her E61, managed spreadsheets and dashed off emails with hardly a care in the world. The phone was just about indestructible, as reliable as the sun, the battery lasted a week on a single charge, the transflective 2.8" screen was amazingly readable in all light conditions, and so what if it didn't have a camera or a 3.5mm audio jack or if the processor seems positively glacial by modern standards. 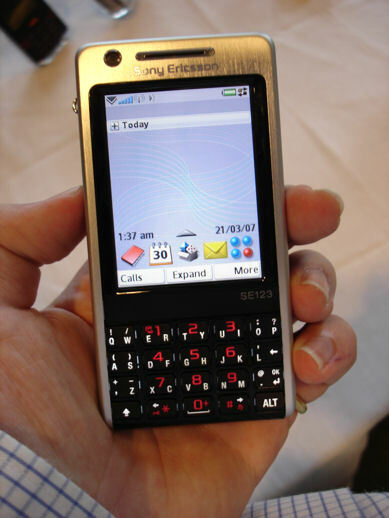 You may have gathered my number 1 of the last decade from the references to it so far - the E71 was an astonishing little slice of technology for its time (early 2008), with the same monoblock construction as the E61 and E61i, but shoehorned into a smaller and much more pocketable form. Moreover, internal specs were right up with the best of Symbian at the time, including 70 or 80MB of free RAM after booting (c.f. the N95 classic's 20MB or so at the time) and a faster processor than the likes of the N95 8GB. I still remembering, at the E71's launch, happily demonstrating the device (I'd had a proto for a week) back to Nokia, showing how blazingly fast it was at scrolling through even the largest web pages (once loaded). This was literally a pocket powerhouse. The keyboard was a generation on from the bulky calculator-like keys on the E61 and E61i and set new standards for the form factor. 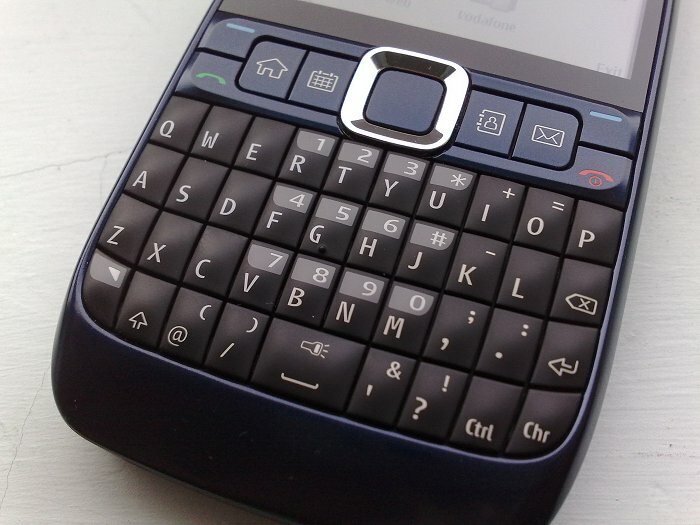 In fact, to this day, it's not that different to the keyboard on the E6 mentioned above and newer budget QWERTY devices like the Asha 302 - it turns out that the E71 was something of a design classic. 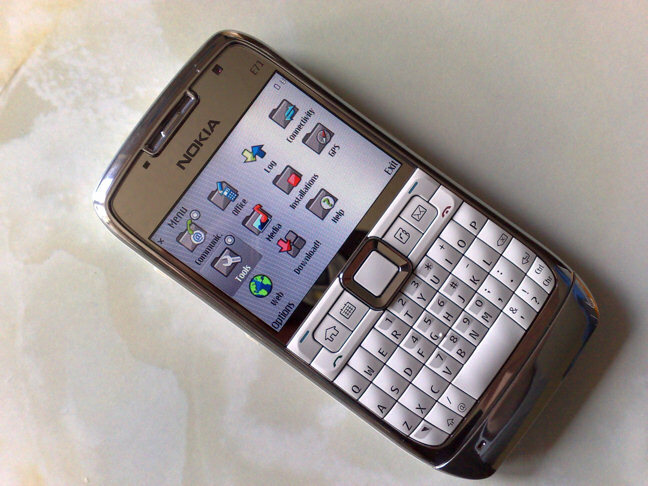 Nokia recognised this, plus its immense popularity, in that it bothered to back port the free navigation version of Nokia Maps to the E71, something that, from this generation of smartphones, only the N95 also managed to acquire. Rivalling the E6 (above) for build quality, the E71 is simply, yet sturdily constructed. Again, I've had it apart and can vouch for some of the internal metal details. At the time I said that the E71 was built like a tank (like the small E51 with similar design) and I've known E71s survive many drops, dunkings and other blatant misuse. I still own an E71 and it works as well today as the day it was made, four years ago. Did I catch your favourites? Is there anything I've missed out from my top 10 Symbian qwerty rundown?